Hi, I am interested in your 2017 Coachmen Other Coachmen Models listed on Autotrader. I'd like to get more information about this vehicle and confirm its availability. 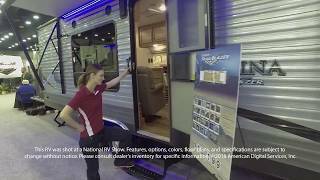 2017 COACHMEN TRAILBLAZER 26TH USED TOY HAULER TRAVEL TRAILER FOR SALE. CALL 903-865-1600 TO FOR MORE INFORMATION ON THIS ONE OWNER PRE-OWNED TOY HAULER BUMPER PULL TRAILER. THIS IS NOT A DUPLICATE. WE HAVE 2 AT THIS PRICE.